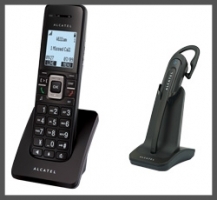 The EVOLUTION range has been designed to meet company. 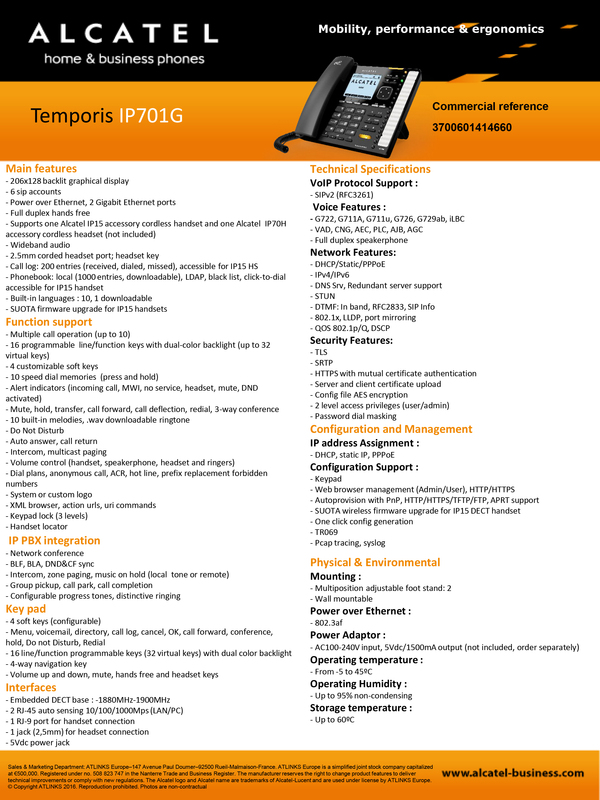 Experience PREMIUM features with Temporis IP701G. Mobility is at hand. 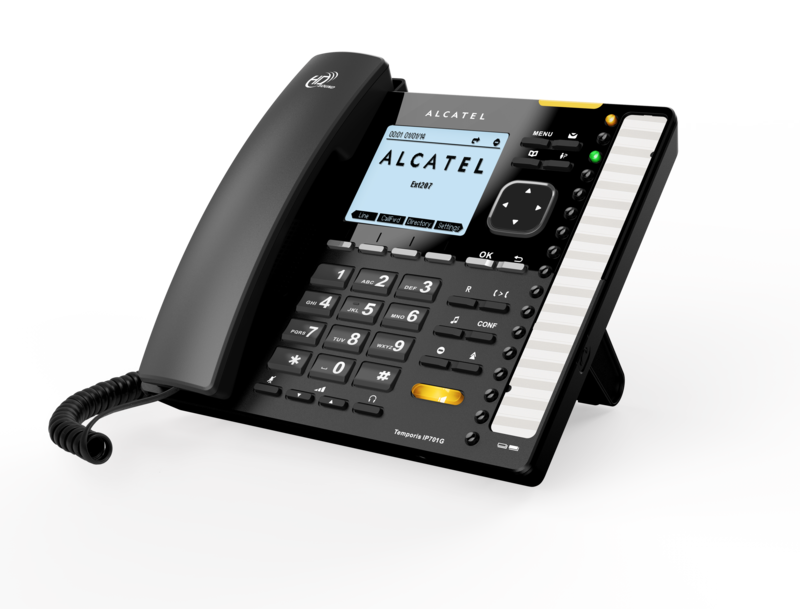 Pair a wireless DECT handset (Alcatel IP15) and/or a DECT headset (Alcatel IP70H) to the embedded DECT base of the desktop phone and communicate as you wish. 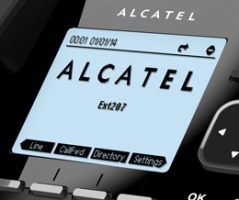 This unique feature on the VoIP market offers mobility within a flexible and evolutive solution in a very cost-effective way. Success lies in feature-rich communication solutions. 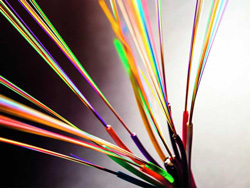 Optimize and make the most out of your network with the 2 Ethernet Gigabit ports. Make the most out of its large HD display to easily access business features. 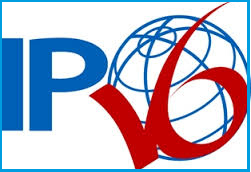 It's already are IPv6 compatible to secure investments. 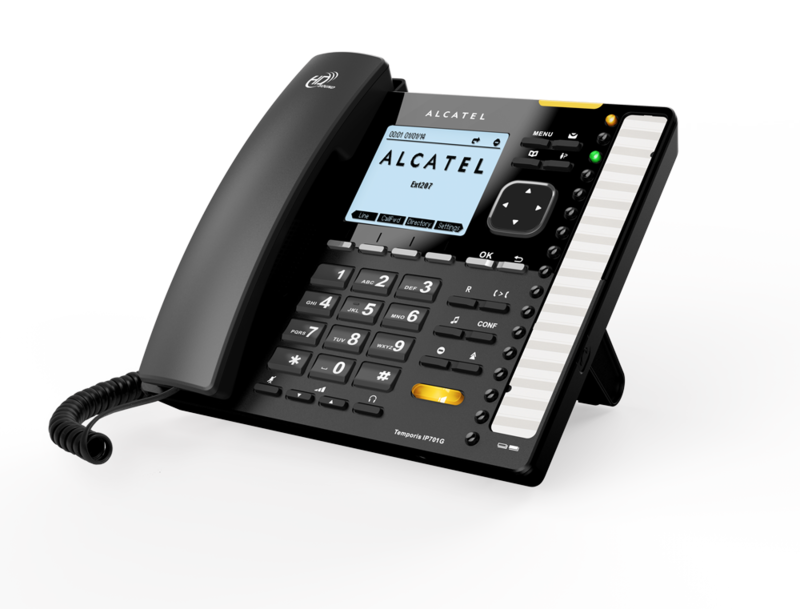 It will perfectly fit into your telephony setup thanks to its wide interoperability with many existing systems.